In My Mailbox Today: 1 Item! Item #1: Postcrossing Post Card from Finland! I'm sure you might've taken a guess as to where this post card came from by looking at it, but NOPE, the girl that sent me this card is from Finland. On my profile on Postcrossing, to give people sending me cards a few ideas, in case they are completely stumped about what to send me, I happened to mention how I was fascinated with Japan and the UK, and the culture surrounding those two places. 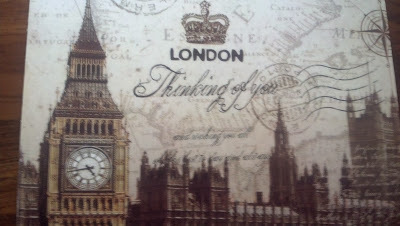 I absolutely love this post card, and from the ones I've received so far it's definitely a favorite of mine! Today has been a bit of a reflexive day for me. I received this post card yesterday, but when I discovered it was in the mailbox I was literally out the door heading to a third date (which went very well, in case anyone was curious :) ), which is why I'm writing about it now. Not only am I looking back because I have to write about this post card, but I'm currently faced with a few things. I find that even with my pen pal, who I love to death, and even with getting to send cards to Postcrossing, I'm finding the urge that I want to do even more. I want to find other ways, new ways, to send things to people, because I have so much fun with writing things and putting things together to send out to people, and I enjoy taking that trek out to the mailbox every day, even when it's -20 outside like it is today. 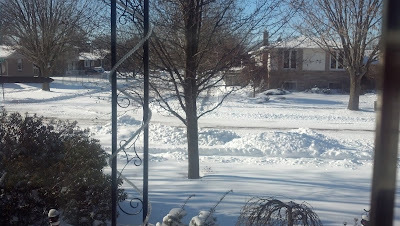 Here's a preview of what it looks like outside, for those of you who don't have snow and are curious. 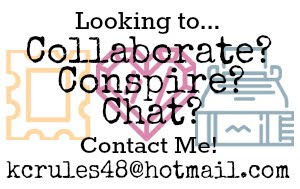 I'm thinking that my first bet in finding more things to send to people will be found somewhere on the IGGPPC symposiums or the forums, there's always a ton of stuff going on there. If anybody that's reading this has any other ideas for any sort of mail exchanges, whether it's letters or whatever else, let me know! Either on Sunday or sometime next week I'm hoping to have time to sit down and write back my pen pal. Whenever I'm sending out stuff in the mail I hate when I feel that I have to rush it; I like taking my time to get down everything I want to say in writing. Not only that, but when I send her a letter I usually stick it in a card and I like decorating the inside of the card with stamps and such. Maybe one day I'll do a post about fun ways to pretty up your mail. My mother has a craft room full of supplies and I could show off a ton of cool stuff. That's it for now! I'll keep you posted!